He was incredible - very informative, took his time and treated me on the spot. One of the best healthcare experiencesI've ever had! He was incredible - very informative, took his time and treated me on the spot. One of the best healthcare experiences I've ever had! Simon Becker, DPM has been serving the Essex and Bergen county area for over 17 years. Dr Becker is a graduate of the prestigious Temple University School of Podiatric Medicine and completed his residency at North Detroit General Hospital, where he specialized in Trauma and Reconstructive Surgery of the Foot and Ankle. 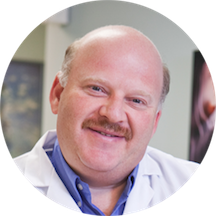 Dr. Becker’s years of unmatched service combined with exceptional professional knowledge ensure that he treats every patient with the highest caliber of compassion and professionalism. Dr. Becker takes the time to get to know his patients and seeks to make the diagnosis and treatment process as painless and simple as possible. He believes that the more informed his patients are, the better decisions they can make. He and his staff have a strong focus on patient comfort and satisfaction. With any foot ailment, do not hesitate to come to the caring offices of Dr. Simon Becker, DPM and Jersey Foot Care to have your needs addressed in a compassionate and pleasant environment. If you are unable to make it to our office, our friendly and knowledgeable physicians are available for house calls for homebound or elderly patients. We are servicing the following NJ counties: Bergen, Essex, Hudson, Middlesex, Monmouth, Morris, Somerset, Union. ===SIMON BECKER D.P.M. & LEO DAVIDSON D.P.M. Excellent doctor, 100% on the money, I do not think you will find someone better. Very Knowledgeable, great bedside manner, awesome personality! Great Doctor, no nonsense. Very clear in his procedures and aftercare. Gives advise, suggestions and chats with you about almost anything. Front desk also very friendly and helpful. Dr. Becker is very nice and professional, though he is busy he always answer my question properly. And his staffs are very nice too! They answer my qestion patiently and clearly. Very nice experiences! Very professional and knowledgeable. Staff was also very nice and accommodating; highly recommend. Excellent doctor, I highly recommend him, really knows his stuff. I moved further away from his office and I still travel to his office, it is worth the drive!! Explained everything, easy to talk to! Dr. Becker is very nice and very thorough. Fantastic doctor best one out of few I have seen. I fractured my ankle and made my first appointment ever with Dr. Becker. He is a genuinely nice and friendly person and made me feel immediately at ease. The staff was equally personable and helpful and addressed all of my needs.Everyone seemed to generally care about my wellbeing and gave me all of the information I needed. They also followed up very quickly. I would definitely recommend! Dr. Becker took time to make sure I understood everything. Dr Becker is a fantastic doctor! It's been a year since I last saw him and he is one of the best! I was thoroughly impressed with Dr Becker and his staff. Dr. Becker was thorough, informative , engaging and answered all questions I had about my treatment. His staff was great, his office was spotlessly clean and easily accessable. I leftfeeling I had a much better understanding of my health issue and I know I am in good hands. after I try almost everything over the counter, with only 1 visit this doctor cure my feets,i start feling better 2 days after I started my treatment,thanks !!!! Great charisma, made me feel comfortable. Explained the process to me and answered all of my questions. The staff was helpful also. Dr. Becker is extremely competent and absolutely knows what he's doing. He is a diamond in West Orange! He is truly amazing!! Nice personality, respectful, knowledgeable and efficient, I am glad I found him?? Gentle and compassionate,, coupled with professionalism. Had to wait for over 30 mins. Patients were overbooked. Wait time was way too long. Appointment time was not kept. ALL THE REVIEWS WERE 1oo% ON POINT... pleasant experience DEFINITELY would recommend Dr. Becker and Staff. .. Very professional. I like the fact that he listens to what his patients have to say and explains questions in great detail. Dr Simon Becker is very personable and he is also an excellent doctor. He listens to his patients when they talk to him and he responds in language that a patient can understand. It is very efficient to book an appointment online. Dr. Becker is great! He explains everything perfectly I literally left with no questions. He is also up to date with new innovations. Staff is great I waited maybe 5minutes only because I had to fill out new patient paper work. I highly recommend him !! Although I was uncomfortable going to his office for the first time, meeting him put me at ease. He is so nice & friendly, very patient & very understanding. Dr. Becker is great! Friendly and good at explaining things to patients. The wait was a little long, but not excessively so, and he gives you his undivided attention when he's with you. I would definitely recommend him to others! Dr. Becker was wonderful he was very professional and personable and I appreciate how he took the time without having to be asked to fully explain what he was doing, why and offer diagnoses and treatment in a clear fashion for myself and my 9yr old. Dr. Becker was wonderful he was very professional and personable and I appreciate how he took the time without having to be asked to fully explain what he was doing, why and offer diagnoses and treatment in a clear fashion formyself and my 9yr old. I would highly recommend him for adults and children too. Thorough and professional, I think Dr. Becker is the best podiatrist in Essex County! Dr. Becker was awesome. I was so afraid I had a plantar wart and he identified it as something with a really long name. He got it off so quickly and without pain. I was SOOOOO happy. What a great Dr.
Usually the wait time is under 30 minutes. Today I was taken under short notice after I rescheduled, so I had to wait a bit longer. Thanks for seeing me Dr. Becker! He is a great doctor. A busy doctor! Best podiatrist I have ever been too!! Fixed another podiatrists mistake and had the best bedside manner I have ever experienced! The doctor was friendly and thorough. Staff was friendly and accommodating. Been there before, went back because he is professional and concerned. Overall high marks, very professional staff and hardly a wait time. Dr. Becker was excellent. He explained everything! Dr. Becker was great. The wait time was exceptionally long. Dr. Becker is a savy, compassionate doctor that does not rush through your visit. I wish all doctors in every practice had the sense that Dr. Becker has in dealng with patients. Thanks to his through explanation of the procedure &recovery expectations and care along the way, I am confident that I chose the right person and would recommend him without any hesitation. Very patient and friendly staff. Highly recommend!! He and his staff were very friendly and professional they made the visit very comfortable and didnt waste anytime at all. He is great at what he does.